Projects horizontal, vertical or cross laser light beam which is selectable by sliding the lens up or down. 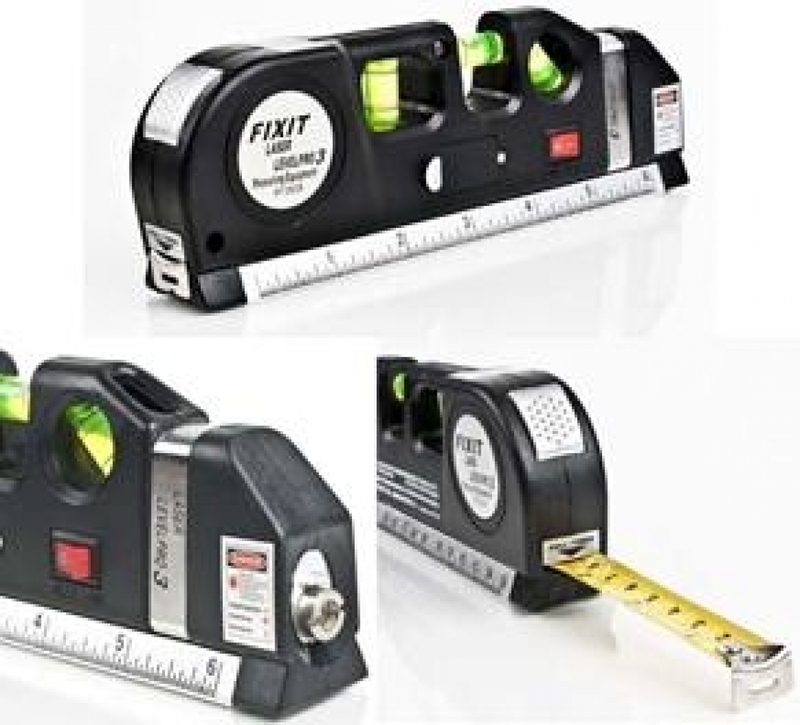 Locking 2.5 metre measuring tape. Works well up to about 5 metres outdoors (out of direct sunlight) and to over 20 metres indoors or in dim lighting conditions.